Gindara Misozuke, a family favorite. All photos on this post are compliments of my brother-in-law. 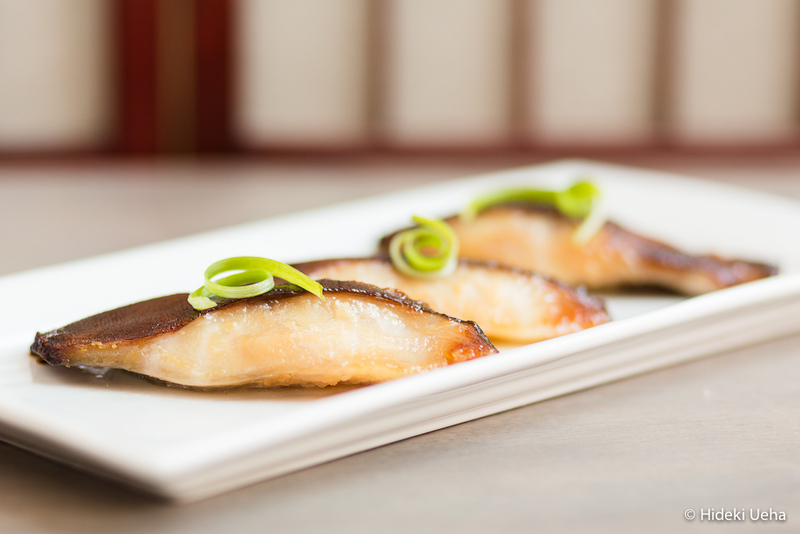 Nobu’s miso marinated black cod, or gindara misozuke as it is known in Japanese, is so delicious! This recipe won’t disappoint and will prove to be versatile for use on other types of fish such as grilled salmon. The first time I ever tasted this miso black cod was when the daughter of my Mom’s friend shared some of the fish that she marinated and baked for us. The fish wasn’t just glazed with the miso marinade, limiting the miso flavor to the exterior of the fish. 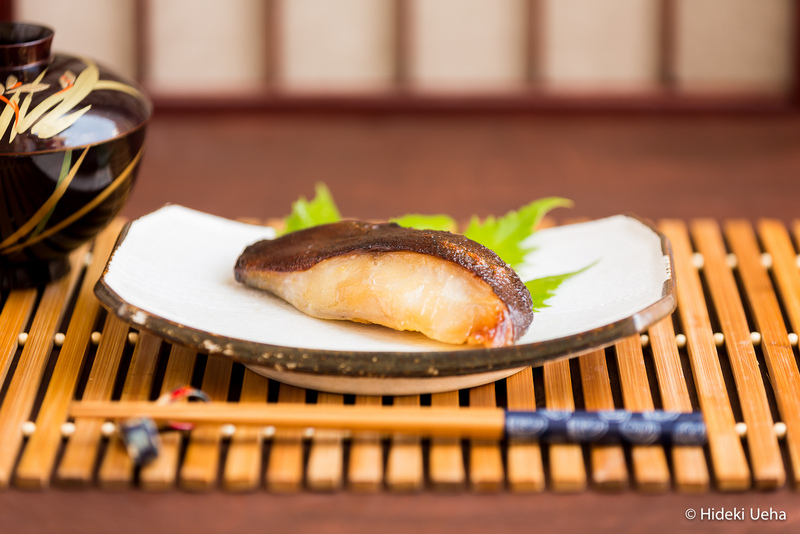 Instead, the cod fillet completely absorbed the flavor of the miso marinade so that every tasteful bite was bursting with savory – sweetness. The miso marinade is surprisingly easy, and I usually double or triple the recipe, almost using an entire package of shiro miso. I make a big batch and freeze two separate bags for two additional meals. This way, it’s super easy to simply buy the fish, take the glaze out of the freezer and spread it over the fish to marinate. 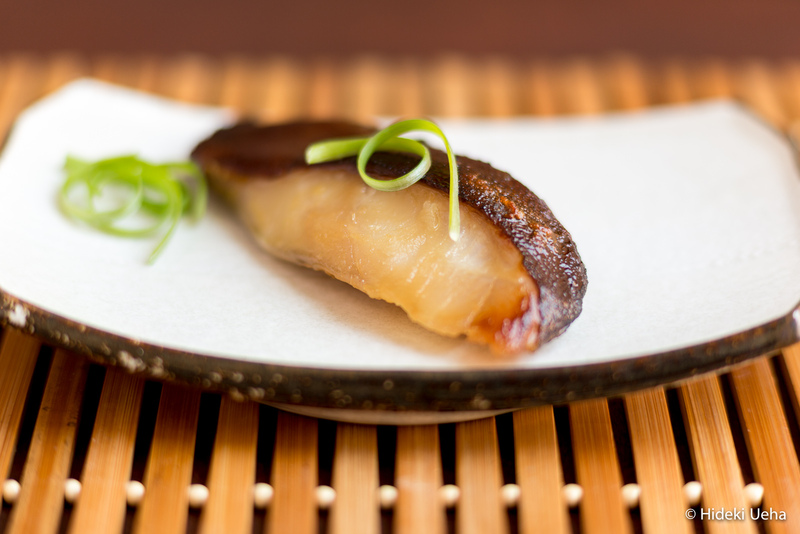 Because of the consistency of the miso, it never hardens when you freeze it – so convenient! The first time I tried this recipe I bought a pack of three gindara fillets (each weighing approximately 4 to 5 ounces) and started marinating them on Monday morning. On Wednesday night I baked them, essentially marinating the fish for three (3) days. 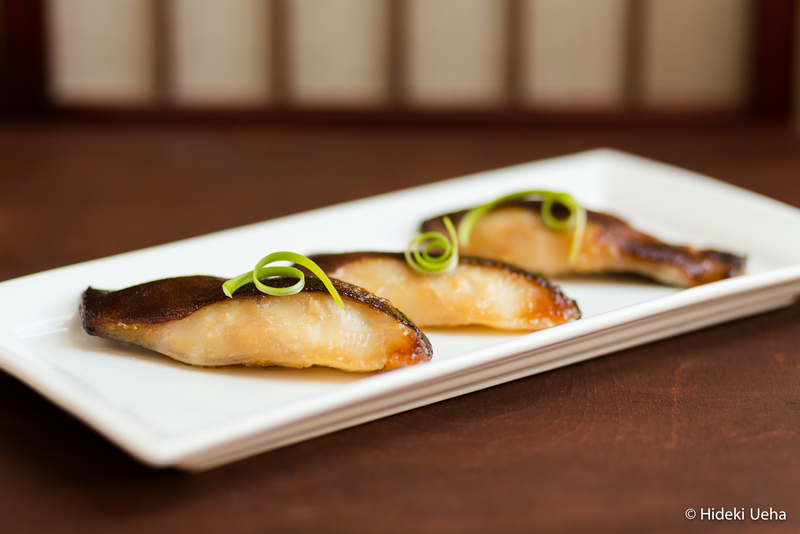 Please note that Nobu’s original recipe calls for 4 fillets that are 8 ounces each, so you will find that there is plenty of miso glaze left over using the recipe below. 1. Bring the saké and the mirin to a boil in a saucepan on high. Boil for 20 seconds to evaporate the alcohol. 2. Turn the heat down to low and add the miso paste. When the miso has dissolved completely, turn the heat up to high again and add the sugar. Stir constantly to ensure that the bottom of the pan doesn’t burn, and the sugar is completely dissolved. 4. Pat gindara fillets dry using a paper towel. Slather fish with the miso marinade. I lay it on thick. 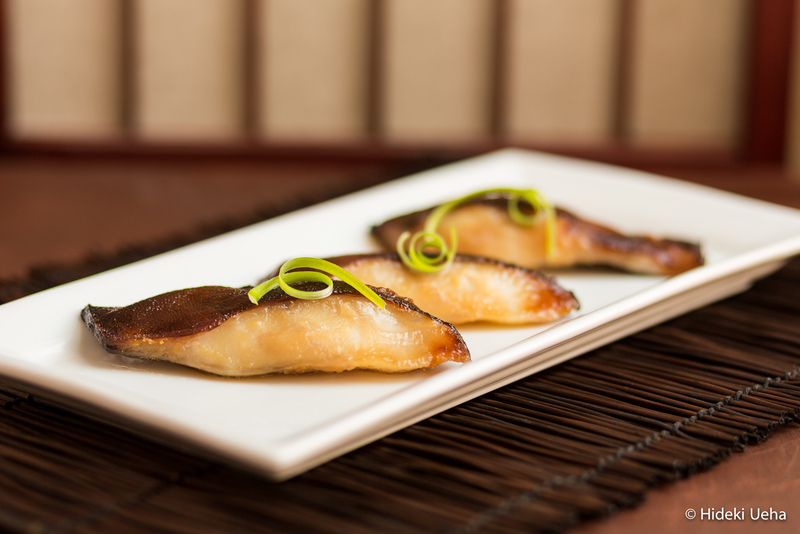 Place some of the miso marinade on the bottom of a deep glass dish and lay the fillets on top of it. 5. Let fish marinade for 2 to 3 days. 6. Preheat oven to 400. Wipe excess miso marinade off of the fillets, but do not wash off. 7. Put foil on cooking sheet and place grill rack on top. Spray rack with Pam. Place fish on grill and broil on low for 3 to 5 minutes until brown. Then bake in oven at 400 for 10 minutes and serve. Recipe was shared by our family friend; adapted from here. The fish is moist, and every bite is rich in flavor and so delectable – – – every time I make this! You just can’t go wrong with this recipe. This entry was posted in Bebe E's Favorites, Family Favorites, Fish & Seafood, Japanese Cuisine Favorites and tagged Japanese Food, miso marinade, nobu's miso black cod by Judy | Bebe Love Okazu. Bookmark the permalink. I love this miso black cod. I think we have the same dish in Taiwan’s Japanese restaurant. I will try it at home. You’re welcome! Thanks for visiting my blog and let me know how it turns out. this is my absolute favourite fish dish! the best I have ever eaten in a restaurant. I loved every bite of it but dont know if i would be actually able to recreate it! i will give it a try- thx for sharing! Thank you for stopping by and leaving a comment for me! I hope you’ll enjoy the recipe. My family loves this miso marinated cod. It’s super flavorful! Cheers! Yes of course you can use salmon. :) Please look under the “Recipes” page miso glazed salmon. I used the same miso marinade for the cod and salmon. did you use 3/4 cup of Mirin AND ANOTHER 3/4 cup of sake? or just 3/4 cup of sweet mirin? thanks. Hello, I use 3/4 cup of mirin (which is sweet cooking sake) and only a splash (let’s call this amount less than 1/4 cup) of regular sake. You can omit the sake if you like, but I always pour just a little bit in. I hope the fish turns out to your liking!